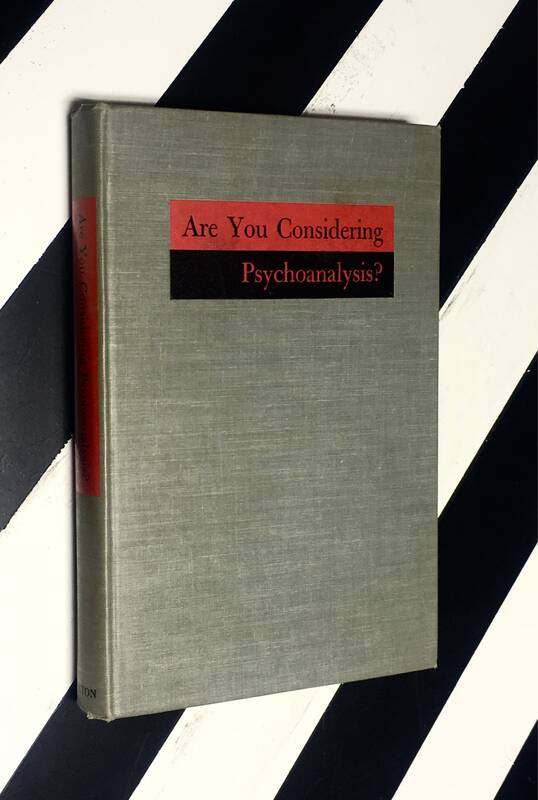 Are You Considering Psychoanalysis? 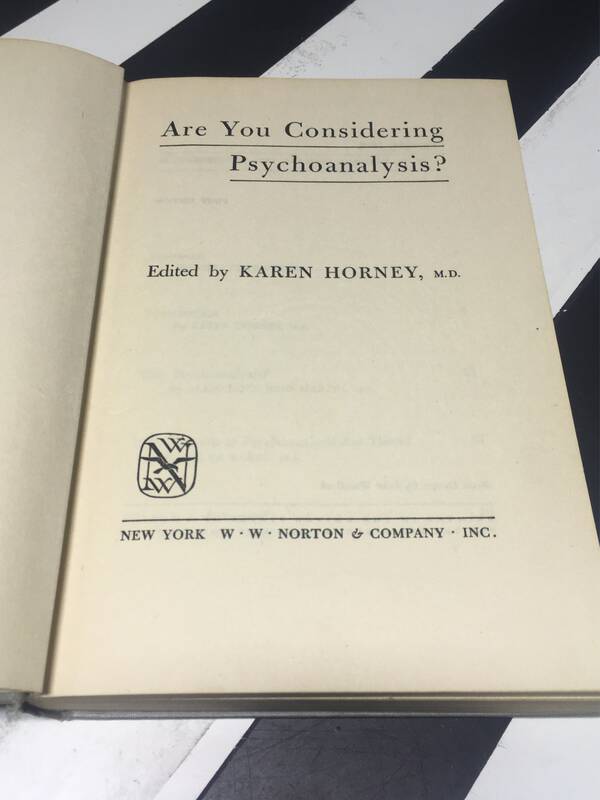 Edited by Karen Horney, M.D. 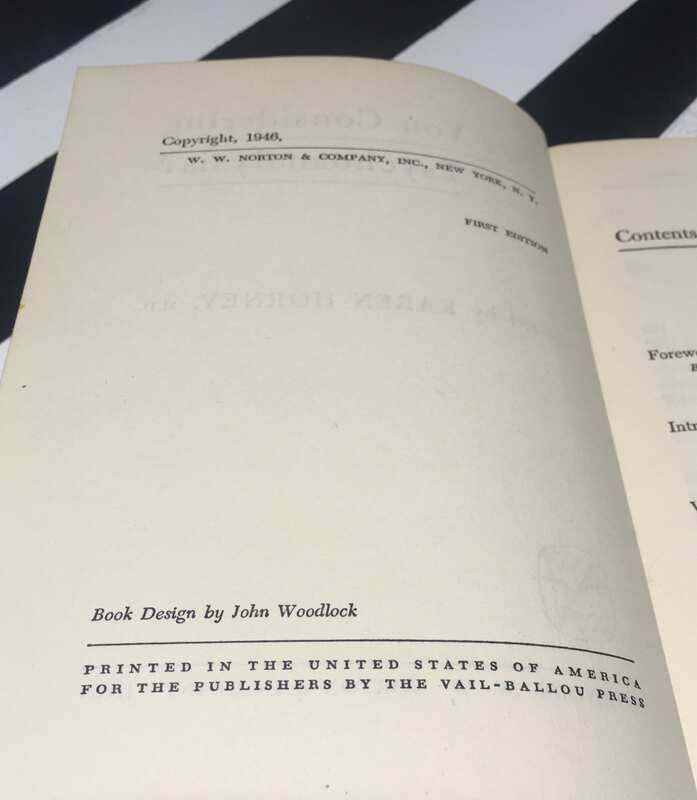 This copy is a hardcover without dust jacket in good condition. Binding is solid if very slightly bent. 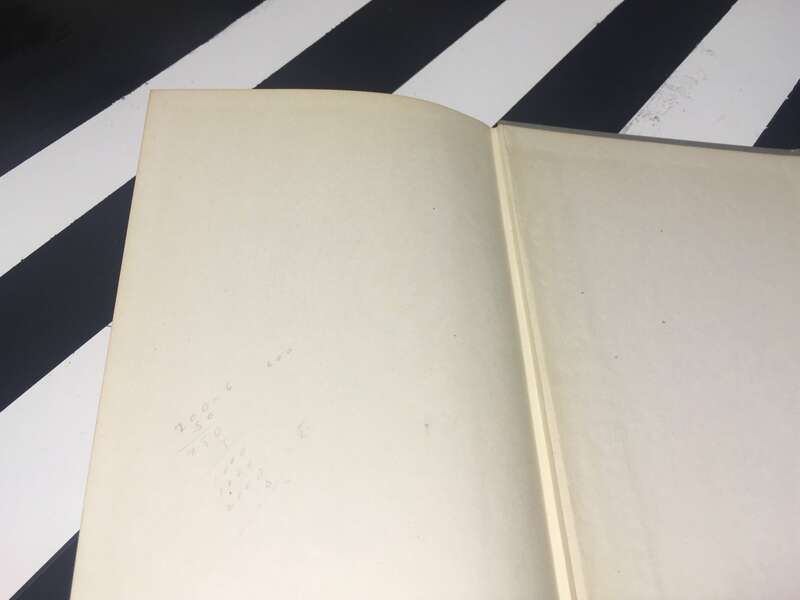 Minor scratching and discoloration to the edges of the text block. 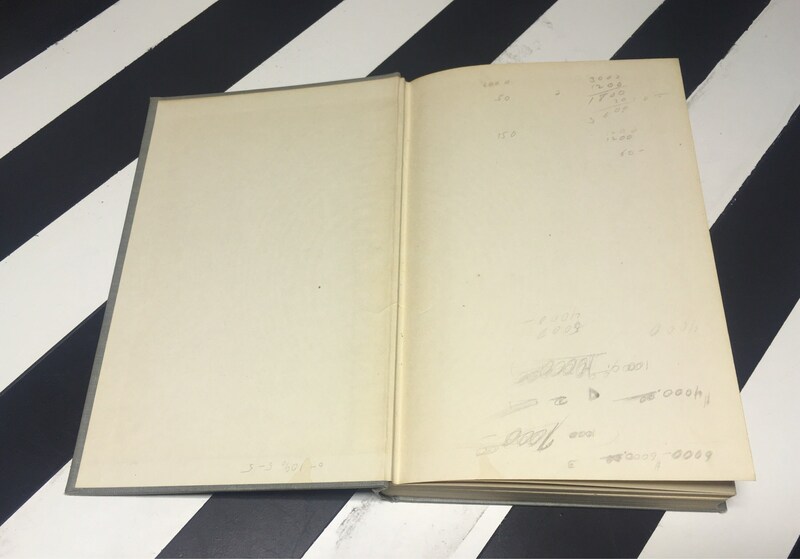 As pictured, faint writing in pencil to the front, inner board and front endpage. 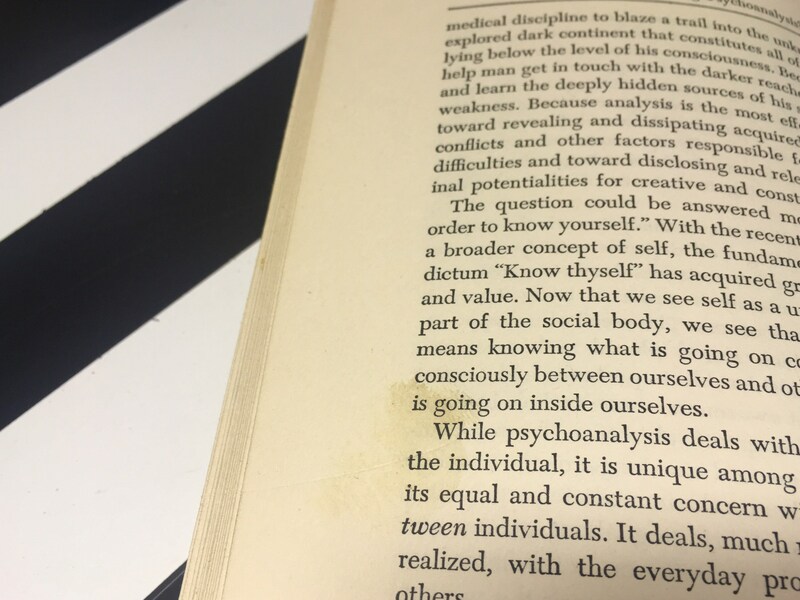 Toning and areas of discoloration to the pages of the text. Underlining, throughout. 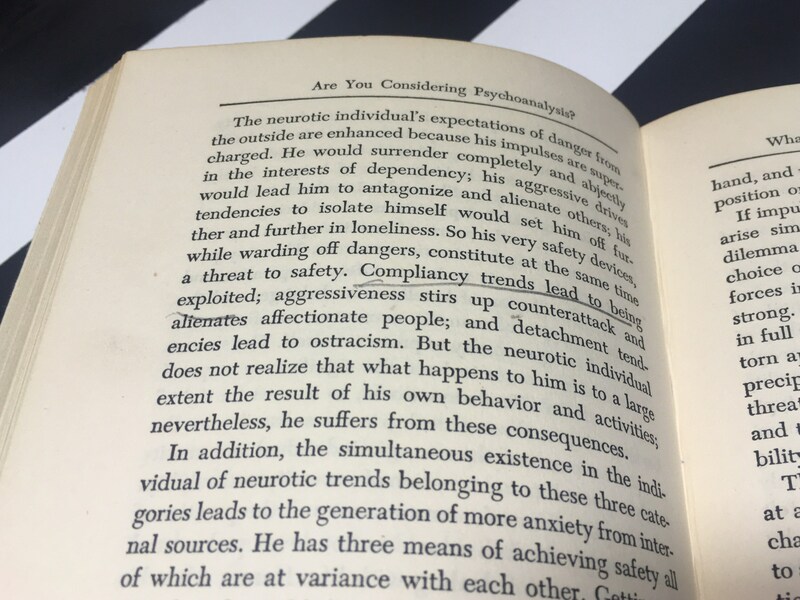 Published by W. W. Norton & Company, Inc. in 1946. 262pp. Index.